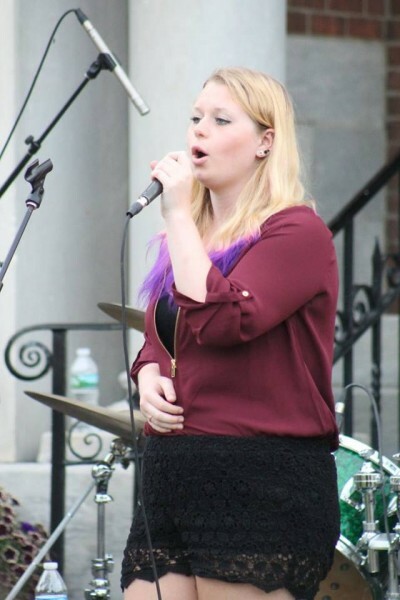 With a strong passion for music and the arts, West Rutland, VT native, Saige King knew she wanted to further her career by enrolling in the Castleton Music program. “I was drawn to Castleton because I heard great things about the Music program, along with hearing great things about how relationship based the campus was,” said King. During her studies she was able to attend a music conference in the Bahamas and opened for the male vocal group Broadway Boys her freshman year, in addition to being involved in the University’s A cappella group, which she served as Musical Director of for the 2016-17 academic year. “All of the teachers in the Music department have helped me learn so much about music in the last three years, but Dr. Sherrill Blodget and Beth Thompson have had the biggest impact on me,” she said. King thanks Blodget for the knowledge she gained about becoming a leader and Thompson for being her voice teacher, lending valuable expertise and training.